Hours Worked – this section is required for QuickBooks timesheet integration. Notes/Summary – section for entering daily hours worked notes or viewing leave balance data or timesheet summary overview. Timesheet Audit Log – non-editable activity log of all entries on the employee timesheet. This section is auto populated with employee who clock in/out utilizing the web clock on the Hour Timesheet login page. Daily hours are totaled by calculating the time between “clocked in” and “clocked out”. A user may have as many in/out pairs as required. This feature is optional and is hidden by default if no values are present in the in/out section of the timesheet. Adding Work Hours – this section contains a set of drop down boxes that are available once the user clicks the “Add Work Hours” button on the timesheet. These codes are referred to as “Employee Authorized Charges”. These selections are designed limited to codes each user is “authorized” to use when charging time on the timesheet. Adding Leave Hours – this section contains a set of drop down boxes that are available once the user clicks the “Add Leave Hours” button on the timesheet. These codes are the leave types that are available to each user of Hour Timesheet. 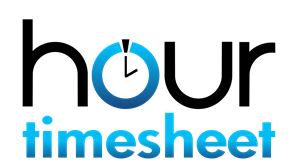 Copy Previous Timesheet Codes – this feature allows the user to copy the codes from the previous timesheet period to the current period. Adding Notes – there are two types of notes that may be entered in the timesheet. General notes are notes that apply to the entire timesheet. Daily hours worked notes apply to the single entry of time entered for a specific authorized charge code on a specific day. Leave Balances – Displays the current leave balance for each employee. This section of the timesheet is auto populated with each entry into the employee timesheet. The audit trail captures the username of the person who made the timesheet entry, the IP address of the person who made the entry along with a time and date stamp of the entry made. The audit trail is not editable. Click the tab button on your keypad or move out of the cell to save the entry. This feature allows the user to copy the codes from the previous timesheet period to the current period. System will stop accruing leave once limit “ceiling” is reached. Additional leave earned or accrued after leave ceiling is reached is moved to the “lost” column. Select the Date of the timesheet wanting to view.